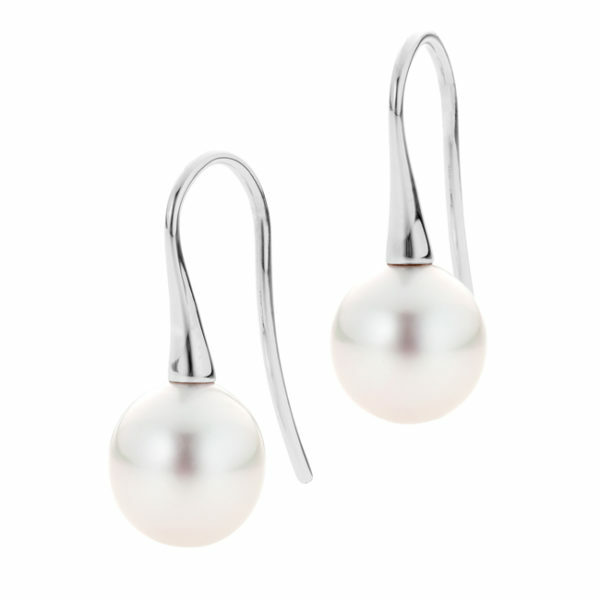 These French hook style earrings are the perfect size for everyday wear and are as comfortable as they are elegant, with two beautiful dangling Broome South Sea pearls. These are one of our most popular designs and look stunning when matched with our Soho pendant. Shop online and make these yours today.